Restaurant and bar gets a new look for its restaurant design with a new butcher block table tops, metal chairs and matching metal bar stools. Food and drinks seem to be the cure for a bad day. But sometimes we simply like to enjoy a good meal. Cure Restaurant & Bar guarantees you a dining experience to remember. They fervently *believe that good food, drinks and music brings everyone together. 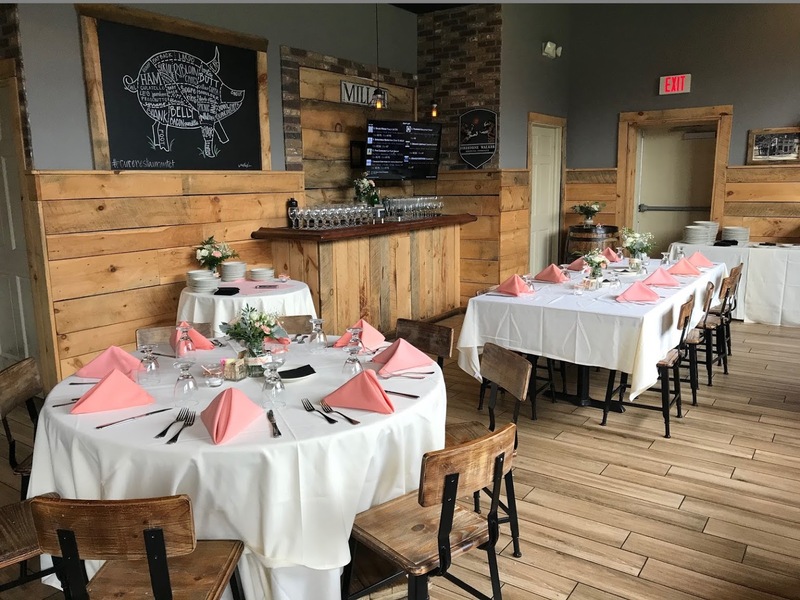 Dedicated managers and staff work hard with local businesses and the rest of the Farmington community to make their restaurant a home away from home to guests by offering a vibrant and warm atmosphere. They aim to reflect their environment by keeping up with the latest food trends and changing with the seasons. At Cure, they try their utmost to pay close attention and fulfill the needs of their customers by creating new and exciting experiences for them. Taking great pride in their business and craft, Cure continues to grow as a family and puts in a lot of effort to deliver the best experience their customers can have. There is never a boring moment at Cure. A neighboring restaurant has recently closed, leaving its employees out of a job. Cure has stepped up to the plate in helping them rebound from their devastating abrupt lost. They took matters further to offer them jobs and discounts to customers who either had gift cards or planned an event at that restaurant. Last year, Cure hosted their very first annual Taste of Farmington which visitors sample food and drinks from over 20 vendors. Aside from their ever changing daily specials, Cure provides regular food, drink and music that guests can anticipate with excitement every week. Keeping up with the latest trends doesn’t stop with food. Cure wanted to give its restaurant design a fresh vogue look. The industrial design has gained popularity over the recent years and many venues are increasingly drawn to the rustic warm look of metal and wood. Reputable for its experience in the food service industry and crafting durable restaurant furniture, Seating Masters has earned its title of being the to-go one stop shop for seating. They have every style for every taste and were able to supply Cure with the industrial style furniture of their choice. When searching for metal chairs, the design on the Industrial Series Black Metal Chair caught their attention. Designed for style and built for durability, this industrial style metal chair comes with a strong black metal frame. The wood back and seat in a distressed walnut finish are made of premium construction. This metal restaurant chair makes a fashion statement for any decor which is why Cure ordered 45 sets of them. Nothing completes the style of your design other than this Industrial Series black metal bar stool. A set of these metal bar stools is all you need to bring style and comfort to your dining and bar area. Featuring a metal frame in a black finish, its simple style will compliment your venue. The distressed walnut wood seat and back allows this metal bar stool to fit seamlessly into any design space, industrial, modern, looking establishment. 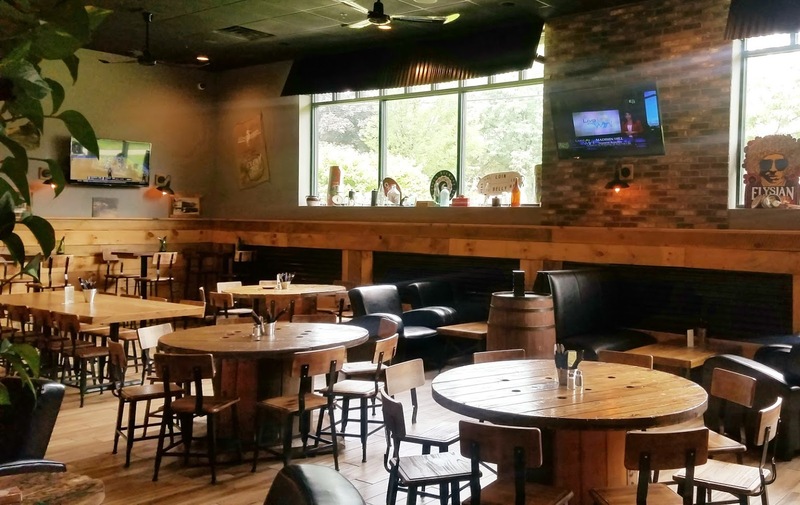 Designed to match the stain in most restaurant chairs and bar stools, these butcher block wood table tops perfectly in any establishment – from upscale restaurants to small coffee shops. wood table tops are available in 5 different finishes. If you require a custom stain or custom size, Seating Masters is more than happy to accommodate you which is what prompted Cure to contact them. Seating Masters invites you to surf through their collection of commercial grade furniture here or speak to a customer service representative at (888) 941-6888. Check out Cure’s new restaurant design and mouthwatering specials at 55 Mill Street, Unionville in Farmington, CT, 06085. They can be reached at (860) 234-7075.